The idea of the end of the world has always fascinated and at the same time frightened many thinkers, among which some of the most distinguished figures in the history of Western thought. Even the great physicist Isaac Newton tried to determine a specific date in which the Earth and its inhabitants would have been annihilated. By interpreting the sacred scriptures, he established that this date was 2060. Newton certainly was not a charlatan, but rather a man of faith, who was captivated by some theories contained in the holy scriptures he knew so well and through which he set out to determine the date. Very dissimilar are the thousands of interpretations of the so-called ‘experts’ on Nostradamus, and the interpreters of the famous Mayan calendar prophecy, which has come to the fore in recent times because it predicted the end of the world on 21 December 2012. The Mayan society, which developed in the present-day nations of Mexico, Guatemala and Honduras and which reached its apex between 600 and 900 A.D, was strongly influenced by religious beliefs. Life was marked by rituals and ceremonies established by a calendar based on astronomical observations. The Maya were keen astronomers and skilled mathematicians. They were so advanced that they posed questions regarding the passage of time and hypothesised that time could be infinite, in the mathematical sense of the term. Unfortunately, not many Maya writings have survived. In fact, just three books, and it was the distorted interpretation of one of these by the writer Frank Waters that led to the prediction of the end of the world on 21 December 2012. This date was critical because it coincided with the end of a cycle on the Mayan calendar called baktun 13. At this point it must be said that this ancient civilisation did not mention the end of the millennium, but rather the end of a baktun. Without going into great detail, the Mayans measured time in cycles and used a base 20 number system. For short periods of time, the Mayans used periods of 20 and 360 days, while for longer periods they adopted a cycle of 7,200 days and one of 144,000 days (called baktun). The measurement of time was based on observations of the Sun and the Mayan calendar was so accurate that it proved to be even more precise than the Julian calendar. The Mayans developed three calendars: the first was 365 days long and was divided into eighteen months of twenty days plus five extra ”special” days. The second, ritual one, was called tzolkin (Sacred Round) and was made up of 260 days. These two calendars together formed a 52-year cycle called the Calendar Round, that is, the time required for the two calendars to be synchronised and to start on the same day again. Mayans feared the end of the cycle since it was believed that the Sun would have stopped shining in the sky. The third calendar called the Long Count was used for longer periods of time. It was based on units called tuns, equivalent to 360 days, and once again on a base 20 number system. And finally we reach the theory of the end of the world. According to the Mayans, at the end of the 13-baktun cycle, the so-called Great Cycle, that is after 5,125 years, the world would come to an end and a new one would begin, starting a new cycle. But how was the end-date established? Since the current Great Cycle began on 11 August 3114 B.C, it should come to an end precisely on 21 December 2012. However, some Mayan inscriptions mention this date as the beginning of a new era while others state that the calendar just goes on. In his book Mexico Mystique, the author Waters mentions five legendary eras which coincide with these cycles, and introduces the hypothesis of the world’s destruction at the end of these periods. Besides, he made a miscalculation, because according to him the end of the Great Cycle would have occurred on 24 December 2011. What else can be said? If we came through once, we will manage a second time! In the last years, predictions regarding the imminent end of the world have been supported by alleged theories, some imaginative others based on scientific foundations, but none of which foresee the end of the world on 21 December 2012. Here are some of the theories used most frequently by modern catastrophists. According to this theory, we should be seeing an increase in solar activity in December 2012, with the result that the intense solar wind might become so strong as to jeopardise the Earth’s magnetic field. It must be pointed out that since when astronomers have been studying the Sun, that is, from the times of Galileo Galilei, the Sun has shown a cyclic behaviour with a pattern that repeats itself every eleven years; periods of greater activity accompanied by the appearance of sunspots, flares and protuberances on its surface are followed by periods of minimum activity. 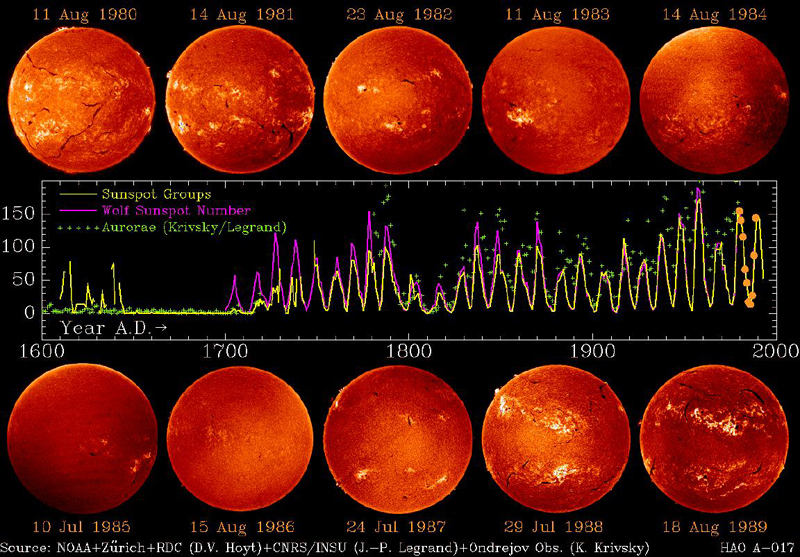 This pattern is not always regular; in fact, starting from the first observations between 1645 and 1715, there was a prolonged period in which very few sunspots were observed. This period was named “Maunder Minimum” after the British astronomer Edward Walter Maunder who discovered the phenomenon. In this period, there was a “small glaciation”, that is, a period in which the temperatures were lower than average. This resulted in harvest failures and a consequent famine. This episode was not the only one. From tree-ring studies and the analysis of the writings of ancient Chinese astronomers, it seems that there was another solar minimum that lasted at least 150 years around 1550. Using the same data, it can be inferred that between 1100 and 1300 there was a “grand maximum” that led to the increase in the Earth’s temperature. There has been a succession of solar maximums and minimums in the Sun’s long life (around 5 billion years). The reason for which they occur is still unknown to the scientific community. The last solar maximum occurred in 2001; hence, if the Sun respects its cycle of activity the next maximum is expected in 2012. However, sunspots almost completely disappeared in 2009, 300 days without a spot! Even the Earth’s magnetic field has been behaving strangely. One would expect it to reach maximum intensity during a solar minimum, however, a progressive weakening of almost 20% has been observed from the solar minimum of 1985-86 to that of 1996-97 and of as much as 45% to the present minimum. In conclusion, the Sun’s behaviour is contrary to the predictions made in catastrophist theories. Moreover, following the general trend in solar activity, the next solar maximum is expected to be of modest entity and not in 2012. Let’s deal with the current theories that have also been stoked by the film world: the collision with a celestial body. 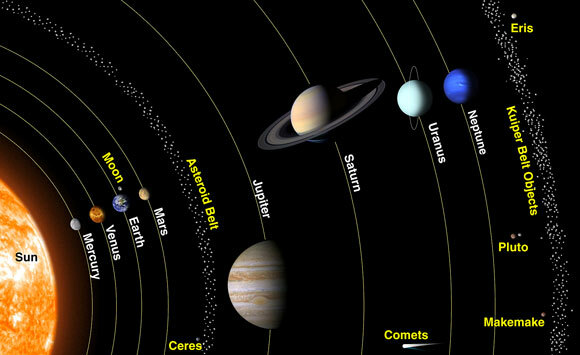 The nature of these objects, that seem to be roaming the Solar System, is varied: asteroids, comets or the mysterious planet Nibiru. Let’s start from the latter because the subject can be briefly explained: the planet Nibiru is an invention, there is no scientific evidence supporting its existence. It simply does not exist! Some extravagant scientists are trying to connect Nibiru to the dwarf planet Eris that is in orbit around the Sun beyond Neptune. It has a very eccentric orbit that brings it within a distance of 5.6 billion kilometres, still very far from Earth to hypothesise a collision. Despite the low probability, a potential threat is the collision with the minor bodies of the Solar System. On 19 July 2009, the impact of a celestial body, probably an asteroid, on the planet Jupiter was observed. This collision produced a black spot in the planet’s atmosphere almost as big as the Little Red Spot. 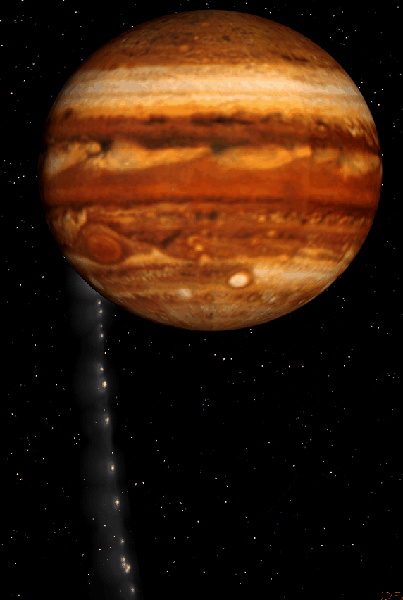 The collision occurred 15 years after the well-known impact of the comet Shoemaker-Levy 9, the first comet to have been captured on video during its relentless trajectory towards Jupiter. Sequence of images of the collision of the comet Shoemaker-Levy 9 with Jupiter taken by the Hubble Space Telescope. The evolution of the comet’s impact site can be observed. Credit: R. Evans, J. Trauger, H. Hammel, HST Comet Science Team and NASA. It follows that the impact with a comet seems a likely event and hence even Earth could incur in this misfortune. In truth, among the known comets, the only one that could pose a real threat is 109P/Swift-Tuttle (responsible for the Perseid meteor shower or Tears of St. Lawrence) that could collide with Earth in its next passage close to the Sun in 2126. However, to collide with Earth, the comet must have a delay of 15 days in the the perihelion passage (the perihelion is the point nearest the Sun). In its last perihelion passage in 1992, comet Swift-Tuttle was about 17 days late, hence there is a real chance of collision, even though recent measurements of its orbit rule out this event. The direct impact with the nucleus, the solid part of the comet, seems unlikely; however, the intersection with its tail is a less rare event. In fact, comet tails stretch tens of millions of kilometres and hence Earth might pass through them. This event did occur in 1910 with the tail of comet Halley, and the effect observed was just a slight increase in brightness in the night sky. However, on 21 December 2012, no collisions of comets nor Earth’s passage through their tails are foreseen. 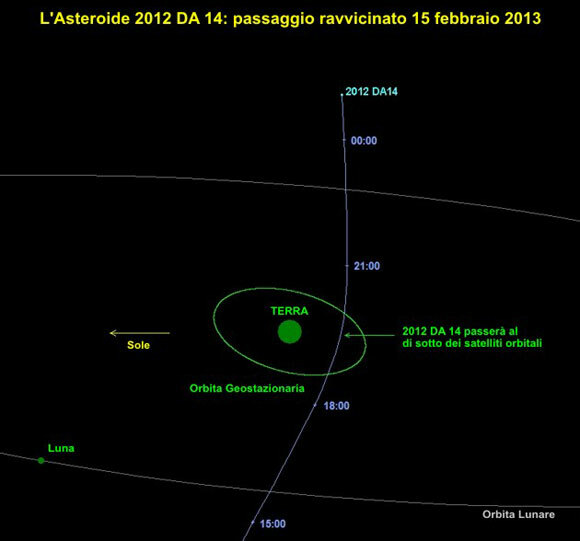 On 15 February 2013 an asteroid named 2012 DA14 will pass near to Earth at a distance of 35,000 kilometres (See image), so near it will pass closer than the weather and communication geostationary satellites which orbit the Earth at 42,000 kilometres. However, the risk that this ‘impertinent’ celestial body could fall onto Earth is practically nil. According to astronomers, who have been constantly monitoring Near-Earth Objects since 1996, 2012 DA14’s trajectory will not be influenced by Earth’s gravitational field. The celestial body, after having passed very close to Earth, will proceed undisturbed along its orbit around the Sun. A potential threat in this moment is represented by the asteroid Apophis, discovered in December 2004. It is a real giant, with a diameter of 350 metres and a mass of about 30 million tonnes. A collision of this colossus with the Earth’s surface would release the energy equivalent to 40,000 times the Hiroshima bomb. On Friday 13 April 2029, Apophis will come very close to Earth; in fact, it will pass at a distance of 30,000 kilometres. Its passage on 13 April 2036, exactly on Easter Sunday, has been predicted to be even more dangerous. This theory assumes that the end of the world will be caused by a supernova explosion near to Earth. 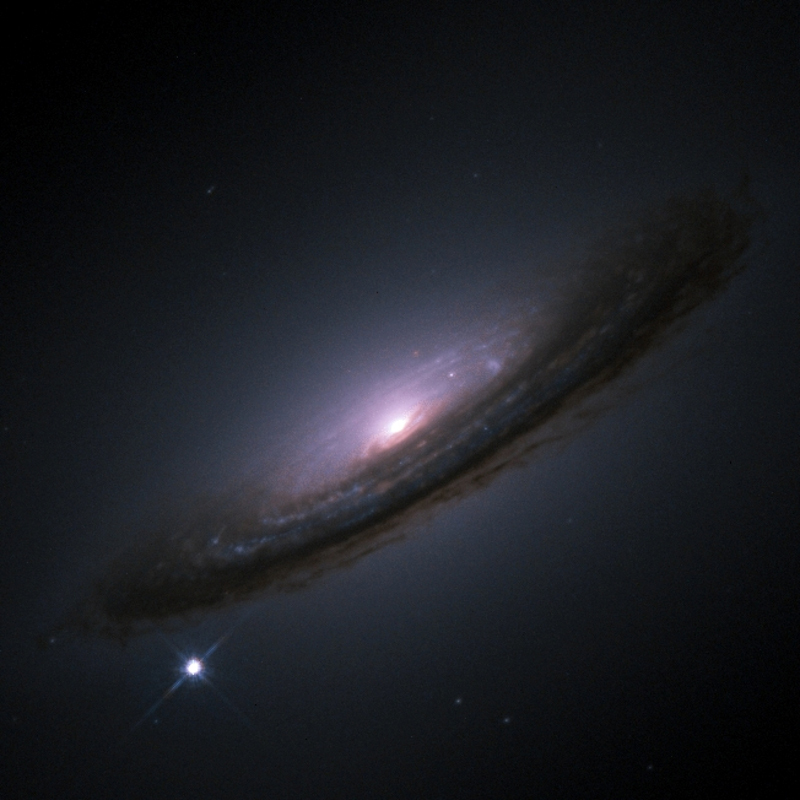 Supernovae explosions occur during the end stage of the evolution of high-mass stars. During the explosion, the outer layers of the star are flung outwards at speeds of many thousands of kilometres a second and its brightness increases a billion times. Besides the increase in brightness, the star also generates high energy particles (cosmic rays) capable of producing devastating effects on human cells. Moreover, the X- and gamma-ray radiation from the supernova could damage the ozone layer which protects us from the Sun’s harmful ultraviolet radiation. However, for this doomsday scenario to occur, the supernova must be rather close to Earth. It has been calculated that there would be lethal radiation doses if an average-intensity supernova exploded at a distance inferior to 60 light years away from Earth. Fortunately for us there are no stars of this type within this radius. Certainly there could be supernovae of greater intensity, which would imply that there could be a tenfold increase in the distance within which the emissions are lethal to life on Earth, but the time scale for these events is around hundreds of thousands of years. In conclusion, we can stay relaxed in 2012! As we have seen, 2012 will be a year like many others, and the theories that predict catastrophic events in 2012 are pure speculation without any scientific evidence, and are often a result of the media or commercial interests. It would be better to stop searching for the reasons the world will end in objects coming from outer space and to start talking seriously about the negative impacts of human activities on humanity and on the Earth in general. However, this would not be a suitable topic for a doomsday film!